Ice cream Filling Machine is multifunctional filling equipment that can fill ice cream with multiple heads through intermittent rectilinear movement. 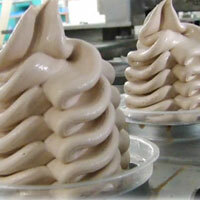 It mainly produces cone ice cream, cup ice cream, cornetto ice cream, container ice cream, rotary ice cream, double color, triple color ice cream, jam ice cream, chocolate ice cream, plane cutting products, it uses manipulator with functions of automatic cup falling, cup arranging, cover adding, cover pressing, feeding, ect. Adopts PLC computer control and mechanical compoud control. 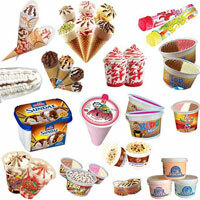 It is the current advanced ice cream filling equipment in China. 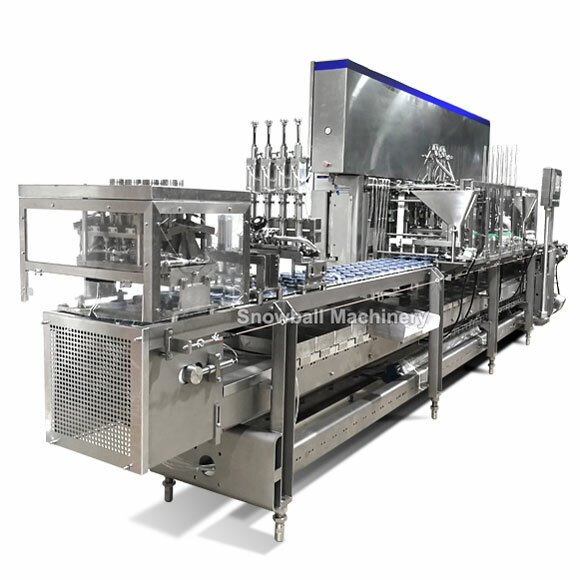 The most common manufacturers of these equipments are BIG DRUM, CATTA 27, CATTANI, GRAM, HOYER, ICE system, MARK, PANCOLINI, TECHNOGEL, TEKNO ICE, TETRAPAK, VEXINO, WCB ICE CREAM. 2. Easy to clean and inspect. 3. 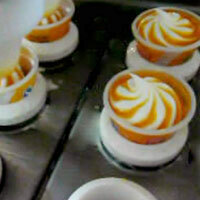 Equipments is designed according to hygienic design principles, and made using food contact certified materials.